I'm sure you remember picking up a coloring book and crayons when you were little, looking forward to picking out the different pictures you wanted to color with the different colored crayons you had in mind! It was a fun to see if you could color better than the last time you did it, among many other great feelings you got when you were younger from coloring, so here is your chance to feel like that again, as an adult! The BEST part is it's okay to do so! This coloring book was made for adults! That means, "YOU!" 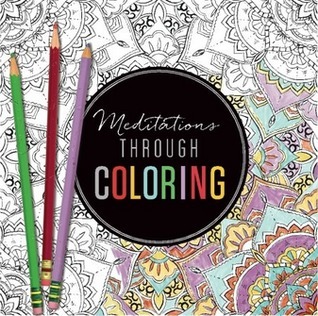 Coloring is an excellent activity to look forward to to relaxing with. Sometimes it's nice to take a break from reading a book and actually 'do' something with your hands, and I think a lot of women out there can relate to that, in particular women who may knit, crochet, scrapbook, or even do other types of crafts with their hands in their laps as they would do with coloring, too. I did not get to see and feel this book in print, only look at it as a PDF file, but I would 'assume' that this book would have to be made out of cardstock like the other adult coloring books are to be able to get the best outcome for quality coloring, however, I did get to fill out a form to 'possibly' get the actual 'physical' book in order for review, so if I am lucky enough to end up getting a print copy, I can let you know about the quality of it then. This book is in competition to be purchased like the other coloring books out there are too, so I would say this has to be like the others I have received for review. I will admit one thing, though. The price seems a lot higher than the books I reviewed. The books I reviewed and saw a lot of are approximately $8.50'ish, and this book is significantly more. The difference "might be" perhaps we get pencils with this book? I don't know??? I really enjoyed this book, and would love to get a copy! I love to color, too! I would like to thank the publisher, River Grover Books and NetGalley for giving me the opportunity to review this book in exchange for writing a review neither negative or positive. Your VERY welcome!! I'll admit I've never stopped coloring, either, with my scrapbooking! FUN!!! It used to be you could find awesome images like these on the internet for free, but not anymore! Now you're paying a LOT of money for them, more so than what a book is worth because they figure you are going to go into their Archives and you'll just have unlimited images to color. I don't agree with that because we don't ALL like EVERY image that that website may have. Do you agree? I HOPE to see you more! Thanks for leaving an excellent comment!